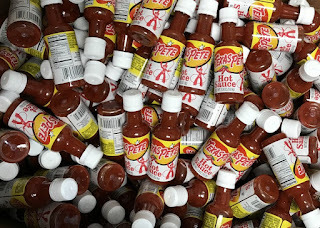 Care Packages for Soldiers: Texas Pete comes through again with Hot Sauce for the Troops! Texas Pete comes through again with Hot Sauce for the Troops! Hot sauce is a big hit with our U.S. Military Troops overseas. And the Airborne Angel Cadets of Texas have been fortunate to have received some fantastic donations of hot sauces from Texas Pete over the years. 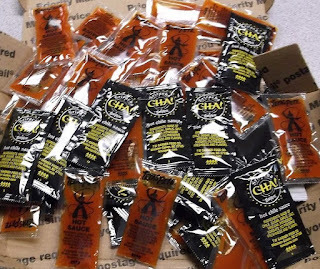 In June, we not only received some great donations of the original Texas Pete Hot Sauce, but also some CHA! by Texas Pete, with an intense sriracha flavor. Thank you Texas Pete! Texas Pete CHA! 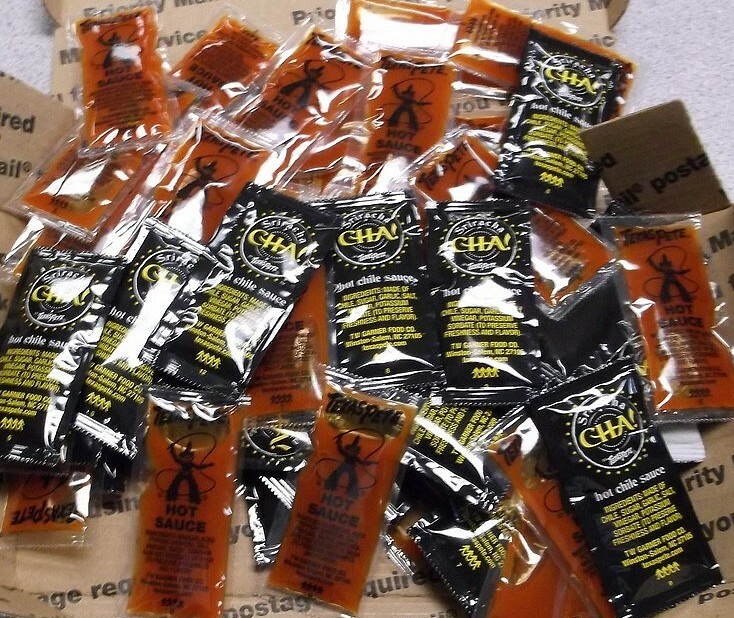 (sriracha) and Original Hot Sauce packets. We will gladly include these Texas Pete hot sauces in our care packages going to Soldiers, Sailors, Airmen and Marines in Iraq, Afghanistan and other remote posts. These hot sauces do wonders for 'enhancing' the flavors of MRE's and many other foods at remote bases. So thankful to include Texas Pete Hot Sauce in our care packages!